This post was submitted to Greater City Providence by Roger Leaf. There were two important takeaways from last week’s symposium on making mass transit work for Rhode Island. The first, made by Grow Smart RI’s Executive Director, Scott Wolf, was that only 2.7% of Rhode Islanders use public transit, about half the national average, despite being the second most densely populated state. According to the U.S. Census, only 8% of commuters in Providence took public transit in 2010, compared to 33% in Boston, 27% in Cambridge, and 21% in Hartford – even New Haven has 50% more transit commuters than Providence does. The second key takeaway, made by leaders from the Minneapolis, Denver, and Hartford transit systems, was that there is no one-size-fits-all solution to public transit. Here again, Rhode Island seems out of step, with a bus-only network that only meets the needs of a small percentage of its citizens. With nearly 80% of the state already living within 10-minutes of a transit stop, it seems unlikely that RIPTA will be able to really move the needle on ridership unless it is willing to consider other approaches. Bus transit offers many benefits: up front costs for infrastructure are low, and rerouting bus routes in response to changing rider demand is relatively easy. But RIPTA’s single-hub bus network hasn’t worked well for Providence. Kennedy Plaza feels like a barren, bus parking lot, adding to congestion and discouraging downtown development, and it is nearly impossible to get from one place in the region to another without passing through Kennedy Plaza. Other modes of transportation have been considered, most notably a downtown streetcar system and BRT along the 6-10 corridor, but both of these are expensive for the limited benefit they provide. 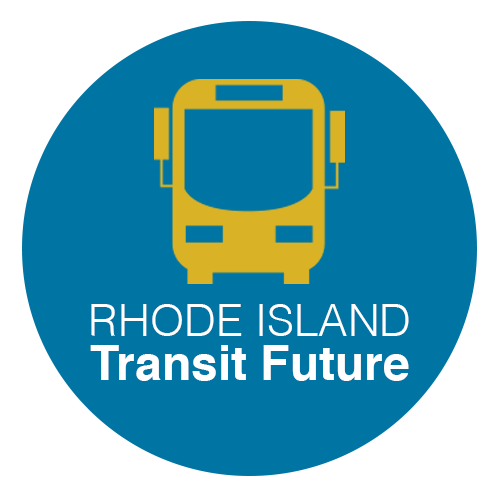 In addition to growing its ridership, RIPTA should be looking for new ways to reduce congestion and pollution, to stimulate and support targeted development, make the region more competitive for jobs, and improve the quality of life for all Rhode Islanders. It needs to seriously consider light rail. A hybrid approach to public transit would enable RIPTA to combine the flexibility and low initial cost of bus service with the efficiency, service levels and capacity of light rail. A light rail “transit backbone” would enable RIPTA to shorten up to two thirds of its current bus routes, reroute them into a more ordered and efficient network, and improve intermodal connections. It would significantly reduce congestion, particularly around Kennedy Plaza, channel future economic growth into economic development zones that can support increased density, and offer significant opportunities for public-private partnerships. 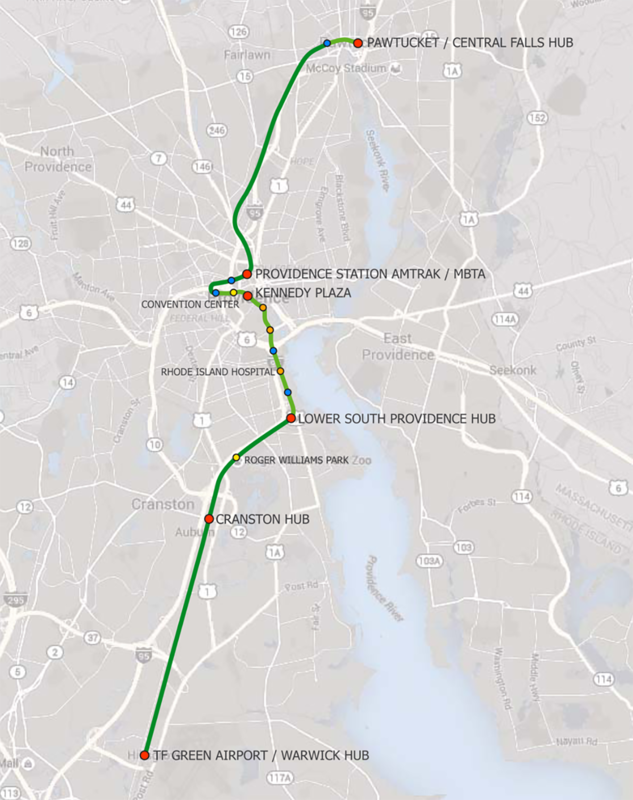 A new, 14-mile transit backbone (the “Green Way”) could originate in downtown Pawtucket, pass through the Providence Amtrak station and Kennedy Plaza, and terminate at the InterLink at T.F. Green Airport. About 70% to 90% of the bus routes that currently terminate at Kennedy Plaza today could instead end at transit hubs along the Green Way, including the Amtrak station. In addition to connecting to the MBTA Stoughton line and the Amtrak Northeast Corridor in Providence, the Green Way would also link with commuter lines at the InterLink in Warwick. Major transit hubs along the Green Way could be located at the InterLink, in Cranston where Route 12 crosses the rail line, at Allens Avenue, and in downtown Pawtucket. Bus routes that currently run north-south to Kennedy Plaza along city streets and I-95 would instead make much shorter east-west routes to these hubs. A significant number of the remaining routes terminating at Kennedy Plaza could be rerouted to the Amtrak station. The Green Way would also have station stops in the I-195 corridor near the Garrahy Courthouse, and in the Jewelry District along Eddy Street, providing a downtown circulation route that would significantly reduce the need for multiple downtown bus transit hubs. The Green Way would not only connect the districts with the greatest development potential to the airport and the Amtrak station, but it could also stop at the Providence Place mall, the Rhode Island Convention Center and the Roger Williams Park Zoo. Future stops could be added on the north side of Federal Hill, southern Smith Hill, and along the Allens Avenue/I-95 corridor to accommodate future development when justified, but developers, not RIPTA, would pay much of the cost of these stops (the same would be true for Providence Place mall). Since all RIPTA bus routes in the Providence metropolitan area would terminate at some point along the Green Way, ALL area bus routes would have efficient transit connections to ALL stops on the Green Way. Hopefully, RIPTA could utilize the existing Amtrak and Conrail rights of way from Pawtucket to the Providence Amtrak station, and from the Inter Link to Allens Avenue, although new rail bed would most likely have to be built. The Green Way would operate as a light rail/streetcar hybrid on city streets in downtown Providence and Pawtucket, potentially allowing for more frequent stops. The redirecting of bus routes to transit hubs along the Green Way would enable RIPTA to significantly reduce its footprint in Kennedy Plaza, creating the opportunity for alternative land uses. In addition to increasing property values for adjacent sites, it could restore Kennedy Plaza as the true center of downtown Providence. Greater ridership requires a highly rider-centric approach, including GPS on bus and rail cars and countdown clocks that are also accessible on smart phones; wifi on rail cars and in stations; security cameras on rail cars and in stations; off-hours waiting areas; and smart cards for all transportation options. Each major transit stop offers a significant economic development opportunity. Green Way stations should retain a strong “sense of place,” with safe, pleasant indoor and outdoor waiting areas including, at minimum, a “Starbucks-like” coffee shop near every station stop. They should encourage targeted development and greater density, and promote public-private partnerships. If 70% of RIPTA’s current bus traffic could be redirected to the Green Way for some part of its route, together with a relatively small increase in ridership, the Green Way would be one of the ten largest light rail systems in the country by ridership, and one of only two or three with over one million annual passengers per mile. A number of other projects are already under way that would be materially impacted by the Green Way if it were to move forward. These include the ongoing redesign of Kennedy Plaza, the relocation of the Pawtucket transportation hub, the creation of new transportation hubs at both the Amtrak station and Garrahy Courthouse, the Providence streetcar proposal, BRT service along the 6-10 corridor, and a new commuter rail station in Pawtucket. Two key steps are needed to validate the feasibility of the Green Way: (i) RIDOT should conduct a preliminary feasibility study to determine the best route, and estimate capital costs; and (ii) RIPTA should analyze the potential impact it would have on its current operations. Given the number of projects that could be affected, these steps should be taken as soon as possible. A go/no-go decision should be made about the Green Way before deciding whether or not to move forward with plans for these other projects. Roger Leaf is a retired Wall Street banker and a lifelong New Yorker. About half of his 38-year career was spent in Public Finance, but now he mostly works with non-profits like RISD, where he served on various committees from 2008 to 2012. His ties to Providence go back to 1999, where his two sons had lived for many years. I completely agree. I’ve lived in Denver the past four years and our light rail system is extremely efficient and heavily used even though there is a lack of density (in the way that RI has density). Denver has been expanding their system over the past decade and is working on one of the largest transportation projects in the country- over 122 miles of light rail and commuter rail track. They just completed a multi-modal hub in the center of Denver that is all-encompassing and connects all forms of transportation. Because of this, they completely transformed and revitalized their Union Station neighborhood from surface parking lots to residential, office, and hotel skyscrapers of 10+ stories. All 20+ lots are currently being developed upon. RI NEEDS this kind of investment. Something that is reliable and efficient. Once this happens, not only will you have a massive increase in ridership, you will also spur economic development. Companies heavily invest when in areas with stable mass transit. 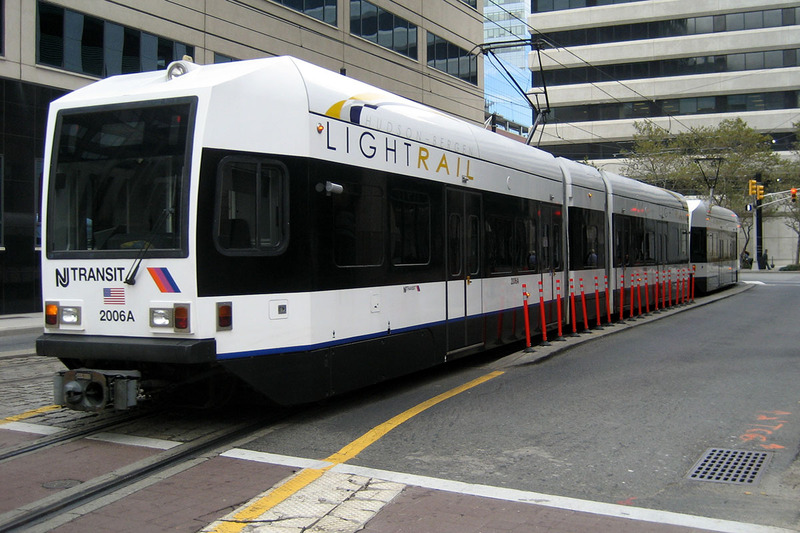 In order for RI to move forward, it is imperitave that you invest in light rail NOW. It shouldn’t be that hard in such a small state. RI moves at a snails pace….if you want to keep up with the demands of a competitive, livable, sustainable state, the time to make moves was decades ago, so you should start NOW! Why and how is it that nothing progressive gets done in one of the most liberal democratic states? While i do know all about corruption in RI, isn’t it time for a change? The status quo in RI amounts to a sustained economic recession/depression. Politicians and those that have power in Rhode Island need to step up and start doing things for the health and well-being of the people and the state, or continue to their current path of greed and power into a death spiral for everyone, themselves included. Why does the greenway route run local along Allen’s Ave, but express between Providence and Pawtucket? Also how is this route better than existing rail right-of-ways through Olneyville and Cranston? The proposed route along Allens Avenue shows three stops, but only two would be built initially: one at the Hospital District, a key issue for many RIPTA riders, and one at Thurbers and Allens Aves., which would be a bus hub for routes servicing Upper South Providence along Broad and Eddy Streets, and Narragansett Blvd. The third would only be built in response to major development in the area, presumably with developers picking up much of the cost. The map shows no stops between the Amtrak station and Goff Avenue in Pawtucket, but this is by no means cast in stone. One suggestion is an additional stop at Mineral Spring Ave. Another is extending the Green Way to Central Falls along Roosevelt Avenue or Broad Street. The proposed route is intended to stimulate downtown development, such as along the I-195 corridor, and to connect to the Hospital District and Kennedy Plaza. It also eliminates the need for multiple bus hubs in the downtown area, and significantly reduces the number of bus routes that terminate downtown. The existing right-of-way really doesn’t integrate as well with RIPTA’s current bus network, which is a critical piece of the plan. While I could quibble with details (Conrail? Stoughton Branch? Pawtucket not connected by rail to the Boston market? 70 to 90% of RIPTA routes not going to central Providence??) 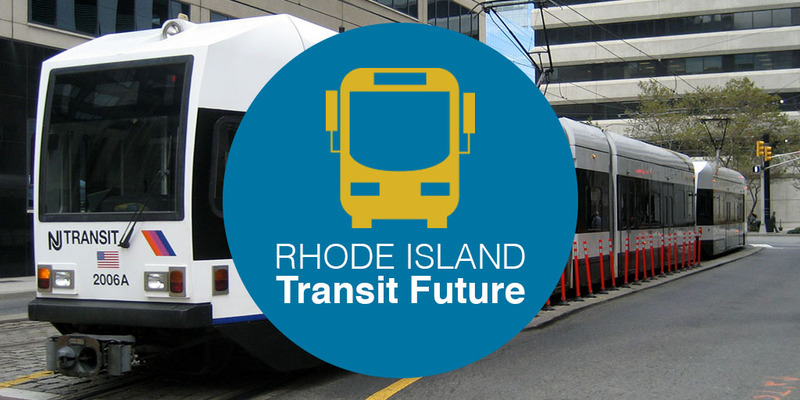 I think Roger,Leaf, Peter Brassard, and the RIPTA Riders Alliance are all to be congratulated for participating in and promoting a conversation about how to really improve transit in RI and posing a far more convincing vision of what needs to be done than the $100 million + 1.6 mile Providence streetcar or RIDOT’s $400 million bus rapid transit to almost nowhere. I hope all 3 ideas can be blended somehow. I don’t know whether its better to use the existing northeast corridor route for the entire way as Peter suggests for the spine of the rapid transit, or part way as Roger suggests so it also serves downtown Pawtucket, the upper South Providence/Allens Ave corridor. I think either plan will need a lot of additional bus service so the Alliance points, including promotions and a more level playing field between our ubiquitous “free” (aka subsidized) parking and transit use will have to be considered to make it all work. My takeaways from the conference from the reports of the transit successes in the 3 out of state systems include the need for: a regional vision; the buy-in from enough of the business community; patience with but eventually outvoting/overcoming the usual negative voices, and special promotions to build willingness to try transit (especially in RI where transit is so often seen as just for the poor.) On the last point, Denver has 2 free downtown bus shuttles connecting their train station thru downtown to their civic center, Hartford also has a free train station shuttle to major downtown points, ad Minneapolis has a low-cost downtown service, perhaps similar to the old low fare short-zone that RIPTA once had. And, thank you Jef for giving a lot of attention to these ideas. This is the kind of thinking we need. Cranston for instance is now served by like 8 slow, infrequent routes that all go to KP but are of little use for getting around in Cranston itself. Much better would be several frequent routes designed to connect points in Cranston plus a reliable transfer to a fast ride to Providence and points beyond. It would not require a lot more operating resources to reorganize the entire system this way. My quibble is putting this initial transit spine on the railroad ROW. A 15 minute ride from Pawtucket to Providence that leaves every 5 minutes, meeting crosstown lines and destinations along the way (an upgraded R-line) will be much more useful than a 5 minute nonstop ride that leaves every 15 or 20 minutes. The South Providence Hub has the intriguing possibility to connect ferry service from Riverside and Barrington, though the hub might have to be shifted slightly north to better connect to a pier. Unlike the failed attempt with Providence to Pawtucket ferry service, which was not just slower than driving, but slower than the bus, an east-west Providence River service might actually be faster or the same as driving and at least more pleasant. Except for just downtown, this Greenway proposal would provide very fast transit service, which is what is needed to make Rhode Island transit more attractive to a wider segment of the population. The elephant in the room is Amtrak, which would require aggressive persuasion from the Congressional delegation to go along with a proposal like this. The NEC right-of-way was compromised when Amtrak electrified the segment in the 90s, when tracks were shifted to off center and the original four-track corridor was made into awkward three-track layout. It’s not realistic to suggest that the route go through Providence Station. There simply isn’t the track or platform space available to also accommodate light rail and there’s no room to expand. An alternate could be to shift the route from the NEC onto streets at Ashburton Street southbound to Charles Street. There could be a station at Orms Street. From there go right onto Smith Street then left on Gaspee with a stop at the statehouse side of the train station. Following the route could go left at Francis with a stop at Providence Place Mall then extend down the hill to West Exchange to Sabin stopping next at the Convention Center closer to the Dunk and La Salle Square. The route could then follow Fountain to Dorrance Streets with a stop around the City Hall/KP area, then continue the original route down Dorrance to Allens Avenue. Along Eddy Street in the Jewelry District there is a problem with laying rail track in the street near the old power station, because of significant underground electrical cabling that serves downtown. Also Point Street is usually jammed with traffic that can take several signal cycles to get through. The section roughly from Ship Street to Richmond should be elevated to avoid the utilities and Point Street traffic. It’s too bad that RIDOT removed the old footings south of Point Street that were from the old viaduct a few years ago. Those footing could have been reused, now all footings would have to be new. The route along Allens Avenue should be in an separate right-of-way that excludes cars. Besides possibly one or two stations at the end of the line reaching up Roosevelt Avenue looping over to Broad in Central Falls, a station at Broad Street in Providence should be added, since there’s such heavy travel on that corridor. Also the Zoo stop should moved to Elmwood Avenue to serve both the zoo and people in Elmwood north and south and the Reservoir Triangle. To Barry’s point, shorter bus routes could mean more frequent service, and shorter travel times to downtown, especially from areas like Warwick or Central Falls. A frequent, free/low cost circular route downtown (i.e., South Main to Washington Street to Empire/Chestnut to Point Street to South Main), together with the Green Way could provide more benefit to downtown Providence than the Streetcar proposal. Low cost parking along the Green Way would go a long way to reducing demand for downtown parking, which would support denser development. I think Andrew is spot on in his assessment of the impact on areas like Cranston, as well as the fact that the goal of the Green Way is to provide speedier transit. For that reason, headways would be no more than every 10 – 15 minutes, and using the rail ROW would keep the rail line off of city streets when possible. However, the R Line from Pawtucket to Providence is an important, heavily used travel corridor, and the Green Way would augment rather than replace it. I also agree with Peter that it is probably impractical/too expensive for the Green Way to pass through the Amtrak station, and an alternate route is probably needed. One possibility would be to go up Francis from KP to Gaspee, past the station, and continue up State Street to a new stop between Boone and Oms, then return to the ROW to Pawtucket. These are important points to be ironed out, but should not take away from the basic concept. The roadway from Memorial Blvd to Eddy and the intersection at Point Street needs some serious thought about what works best for traffic as well as light rail. The Green Way, RI-Train, and Pro-Tram have similarities in that they each would fill a need currently missing from Rhode Island transit—high transit speed that would interconnect adjacent urban core cities. Green Way and RI Train would provide the fastest service and become critical links to the bus system. Both are propose using the NEC right-of-way, which would be subject to Amtrak track user fees and might conflict with Amtrak operations. Pro-Tram would be a little slower, but its two routes would weave through the highest density neighborhoods in the urban core offering the most coverage and would be less reliant on buses bringing passengers to stations, by giving more people the ability to walk to transit stations. Is it realistic to propose building more than one of these proposals? Could an alternate be found that would combine or create a hybrid? Calgary’s transit system may be a nice example… connects to the suburbs, but also runs downtown. And, all travel downtown is free of charge. They capture the commuter fares, but also have very high ridership because it’s free between certain points in the city core. KCB, the thing is that the fact that the transit system in Calgary is good means nothing when over 70% of their population commutes by car (73.76% according to the 2011 City of Calgary Civic Census). In my opinion, a transit system is only successful when it helps lower the modal share of people driving to work to under 50%. I think that may be faulty info. Consider that the northwest line connects to University, not sure if they accurately quantify college student usage. Also, in 2012 they added the entire southwest line and extended the northwest lines to the suburbs. But, point taken, and I agree. To Peter’s point, the Green Way, RI-Train and Pro-Tram proposals have many similarities, but each is really quite different. Pro-Tram is an extension of the two most heavily traveled north-south and east-west bus routes, converted to BRT or light rail. The Green Way attempts to integrate most of the bus routes serving the urban core with a light rail line that would shorten travel times and attract new riders. The RI-Train is a more regional approach, extending south to Wickford and, potentially, north to Woonsocket, replacing BMTA with better service. Each of the three proposals also has its issues. Pro-Tram does not impact a large number of RIPTA riders, and doesn’t address the single hub bottleneck in downtown Providence. The Green Way integrates well with a re-imagined bus network through the urban core, but requires a large number of riders to transfer from bus to light rail. RI-Train bypasses key neighborhoods downtown where the greatest economic development is, and can only run with limited frequency because it shares the ROW with Amtrak and MBTA. And none of the options is cheap. Trying to combine the Green Way and Pro-Tram probably wouldn’t work because they both try to do the same thing but in different ways, but RI-Train addresses a more regional need. RI-Train is a much better option than MBTA for commuter rail, and the Green Way fills the need for more frequent service within the urban core. Linking the two at the airport and at Providence station would create a network that would service about two thirds of all Rhode Islanders. It really deserves a look. Mark’s comment about a transit system needing to attract 50% of commuters to be successful is a pretty high bar. There are only 10 major cities in the US with even 25% commuting by public transit, so Calgary’s 26% doesn’t sound all that bad. Roger Leaf, what I meant was a 50% (or close to) mode share of biking, walking and public transit combined. Wait, Calgary’s mode share for transit is 26%? Mark, you are right; I misspoke. Based on your number, the total for transit, bike, walking and people who work from home would be 26%, not just transit. That said, 86% of Americans commute by car, and given that transit ridership in Rhode Island is about half the national average, the number here is probably closer to 90%. Fewer people commute by car in urban areas, so that’s not an apples-to-apples comparison to Calgary, but Providence would have to double the number of transit commuters to hit Calgary’s numbers. At the end of the day, I would argue the key measure of success for transit in Providence is: what would it take to be competitive for the 4,000 jobs that Citizens Bank plans to relocate in 2018? Clearly, with the current bus network, it isn’t. I support light rail for R. I.